Recipients of CalFresh assistance can use their benefits to buy fresh fruits and vegetables at many local farmers’ markets thanks to Alchemist CDC! 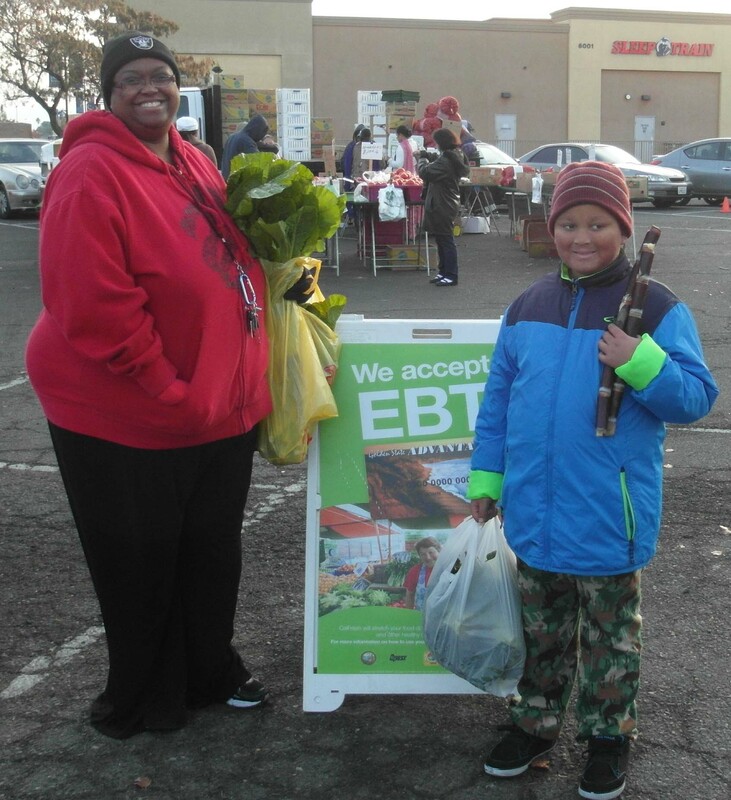 This program increases equitable access at farmers’ markets by setting up booths which run an EBT machine and scrip system, enabling CalFresh recipients to buy fresh, healthy, local produce. CalFresh (previously known as Food Stamps) provides qualifying lower income individuals financial assistance in purchasing food for themselves and their families. In addition, Alchemist CDC distributes nutrition information and healthy recipes and develops multi-lingual promotions to encourage consumption of fresh, produce, and foster better eating habits among local CalFresh users. This program also adds to local farmers’ direct sales and increases attendance at farmers’ markets, enhancing the local economy. For information on CalFresh benefits, click here. Alchemist CDC, along with Grace Presbyterian Church and our wonderful volunteers and interns, facilitate CalFresh processing at 10 Certified Farmers’ Markets in the Sacramento region. 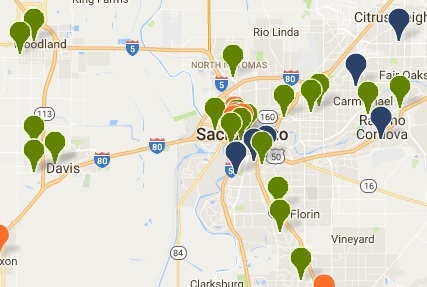 To see an interactive map of markets that accept CalFresh, and those that participate in Market Match, click here. Also, check out our: CalFresh-friendly Farmers’ Market Flyer. 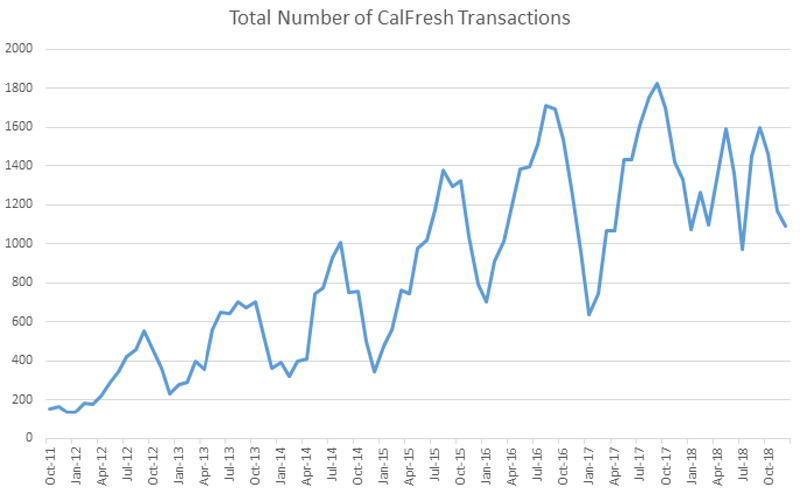 By providing the ability to use CalFresh at these markets, Alchemist hopes to make fresh produce more accessible to low-income individuals in these areas, while simultaneously increasing the sales for small-midsize farmers in California. This effort is in keeping with Alchemist CDC’s vision of a vibrant, equitable and diverse Sacramento. Farmers’ markets are an asset to communities, and can lead to improved health for area residents. 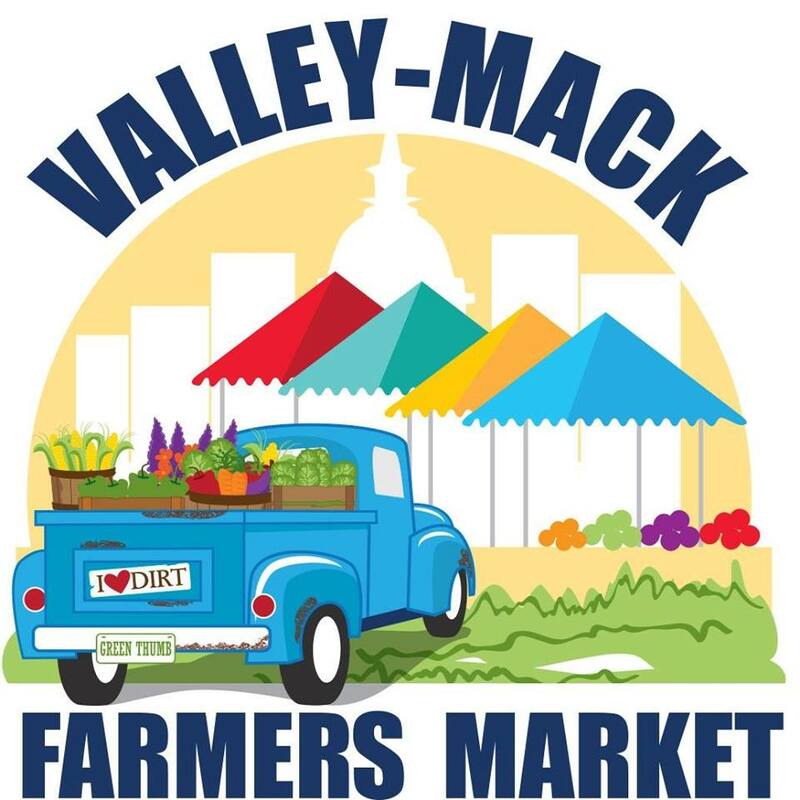 By making it easier for low-income populations to purchase food at farmers’ markets, implementation of CalFresh acceptance makes these community assets more equitable and accessible to all individuals. In 2018, Alchemists CDC saw over $235,000 CalFresh dollars spent at our partner markets alone! The government estimates that every dollar of CalFresh money spent in our region generates $1.79 in total community spending. Therefore, in 2018, Alchemist CDC generated over $420,000 in extra local economic activity for the Sacramento region! In the United States in FY2017, Alchemist’s partner markets accounted for 1.6% of SNAP (CalFresh) spent at all farmers’ markets nationwide! Our markets contributed a significant portion of the $15.69 million of SNAP funds spent at farmers’ markets, despite only accounting for 11 of the 3,642 farmers’ markets (0.3%) that accept SNAP. 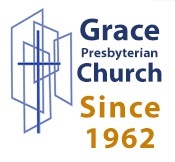 Since it’s inception in late 2011, this program has demonstrated a clear trend of growth.